Directional selection is one type of natural selection in which the phenotype (the observable characteristics) of the species tends toward one extreme rather the mean phenotype or the opposite extreme phenotype. Directional selection is one of three widely studied types of natural selection, in addition to stabilizing selection and disruptive selection. In stabilizing selection, the extreme phenotypes gradually reduce in number in favor of the mean phenotype, while in disruptive selection, the mean phenotype shrinks in favor of extremes in either direction. The directional selection phenomenon is usually seen in environments that have changed over time. Changes in weather, climate, or food availability can lead to directional selection. In a very timely example connected to climate change, sockeye salmon have recently been observed shifting the timing of their spawn run in Alaska, likely due to rising water temperatures. In a statistical analysis of natural selection, directional selection shows a population bell curve for a particular trait that shifts either further left or further right. However, unlike stabilizing selection, the height of the bell curve does not change. There are far fewer "average" individuals in a population that has undergone directional selection. Human interaction can also speed up directional selection. For example, human hunters or fishermen pursuing quarry most often kill the bigger individuals of the population for their meat or other large ornamental or useful parts. Over time, this causes the population to skew toward the smaller individuals. A directional selection bell curve for size will show a shift to the left in this example of directional selection. Animal predators can also create directional selection. 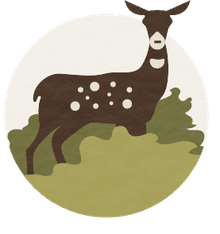 Because slower individuals in a prey population are more likely to be killed and eaten, directional selection will gradually skew the population toward faster individuals. A bell curve plotting species size will skew toward the right when documenting this form of directional selection. Charles Darwin studied what later became known as directional selection while he was in the Galapagos Islands. He observed that the beak length of the Galapagos finches changed over time due to available food sources. When there was a lack of insects to eat, finches with larger and deeper beaks survived because the beak structure was useful for cracking seeds. 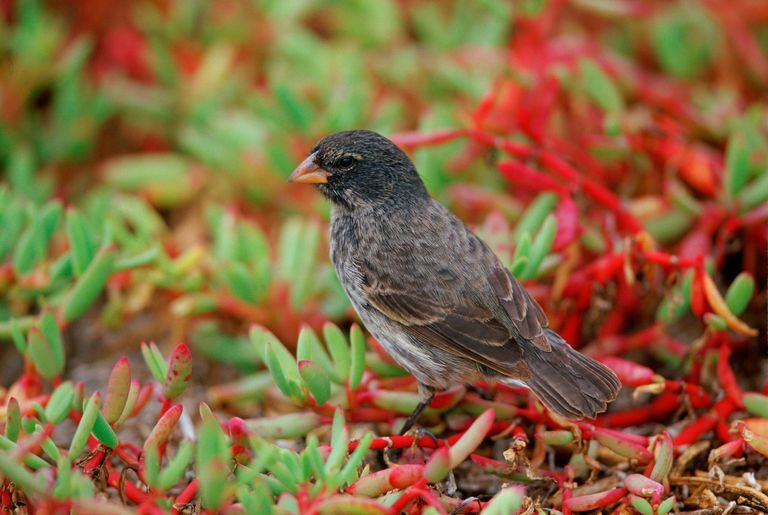 Over time, as insects became more plentiful, directional selection began to favor finches with smaller and longer beaks that were more useful for catching insects. Fossil records show that black bears in Europe decreased in size during periods between continental glacial coverage during the ice ages, but increased in size during the glacial period. This was likely because larger individual enjoyed an advantage in conditions of limited food supplies and extreme cold. In 18th and 19th century England peppered moths who had been predominantly white in order to blend in with light colored trees began to evolve into a predominantly dark species in order to blend in with an environment that was becoming increasingly covered with soot from Industrial Revolution factories.